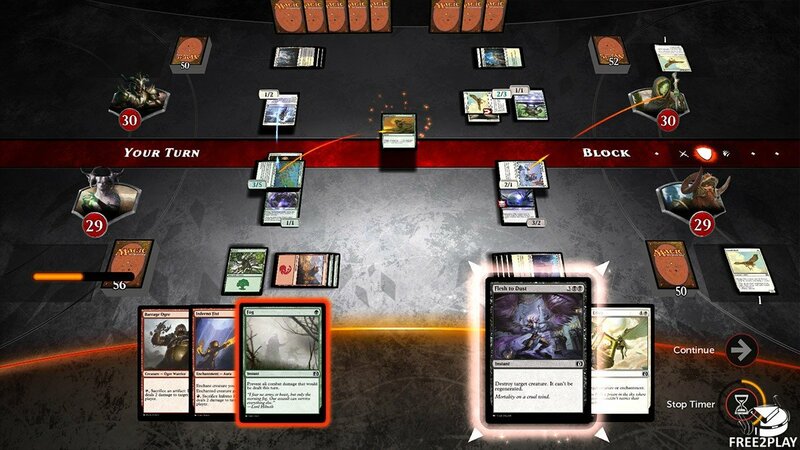 Magic Duels: Origins is a completely free-to-play card collecting game that uses the same features of its physical version, Magic: The Gathering, to offer players the possibility to enjoy intense strategic battles as they control formidable sorcerers known as Planeswalkers. Use hundreds of different cards to form your deck, and fight in exciting battles against the AI, or against other players. 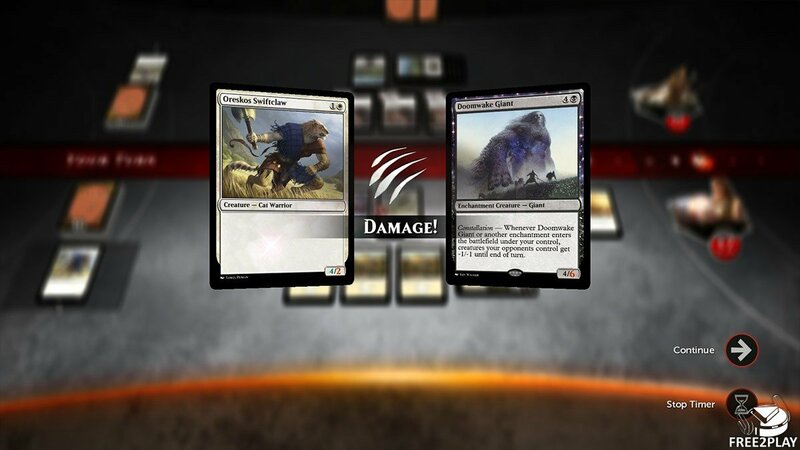 Fight exciting duels between sorcerers known as Planeswalkers, which are able to summon great and dangerous creatures and conjure devastating spells. 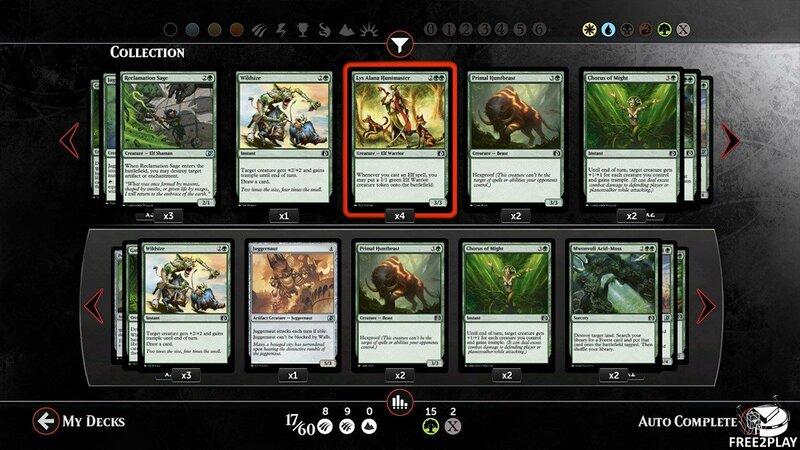 Each Planeswalker ability, comes from the cards that forms its deck, which must have a minimum of 60 cards; players must strategize and theorize how they can combine their cards for powerful effect whilst having flexible strategy as they never know which cards they will randomly draw from their deck. On every turn that passes, players draw a card from his deck, which can be played if they have enough mana. Players can play different types of cards like creatures, spells, lands, auras, equipment or artifacts, and use them to reduce the health of the rival Planeswalker to zero. As the fight progresses round after round, players will acquire more mana, allowing them to play more powerful and devastating cards that will drastically change the battlefield, increasing the intensity of the battle. Battles Versus - In this mode we will fight one on one duels against players or AI opponents, and will even allow us to fight against the IA when we do not have internet access. 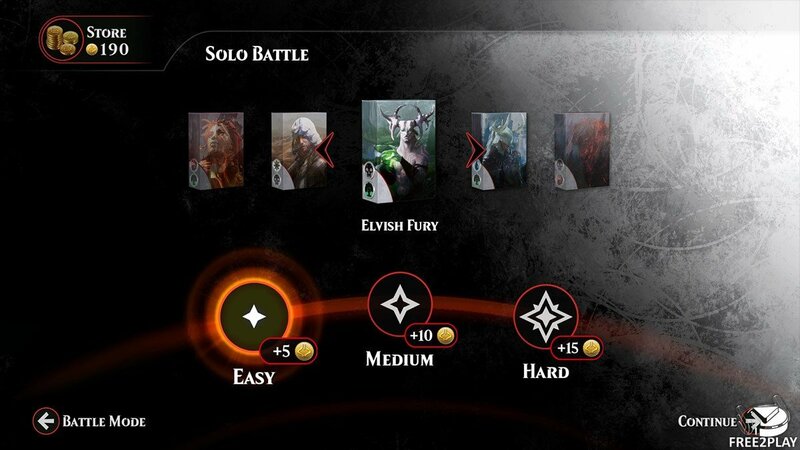 Story mode - In this mode we will follow the steps of 5 famous Planeswalkers using their unique decks, to discover which are their origins and their history. Two-headed giant - this exciting 2vs2 mode allows us to team up with another player or an AI teammate to fight against two opponents at the same time. Creatures - These cards allow us to summon creatures that have multiple attributes (like attack, health and armor), and some even special abilities. Its main objective is to defend our Planeswalker and attack the rival Planeswalker. Lands - These cards serve mainly as a source of mana, although some lands have special abilities. Auras - These cards can be attached to creatures to provide beneficial effects or penalties, and disappear on the death of the creature. Gear - These cards are similar to the auras, but they remain on the battlefield when the creature carrying it dies, allowing you to equip them to other creatures.